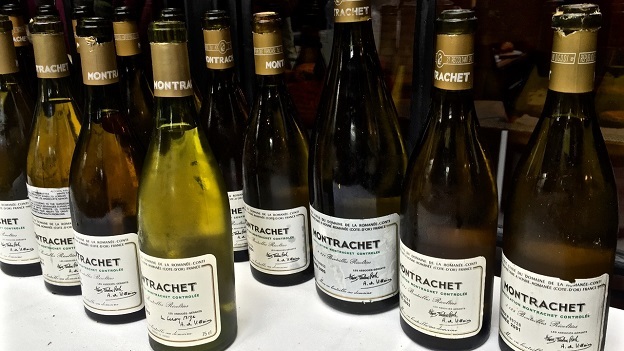 Many months in the making, this retrospective of Domaine de la Romanée-Conti’s Montrachet spanned 21 vintages going back to 1982. The wines were sourced from members of one of my local tasting groups in New York City, with each person contributing 2-3 bottles, including backups. The bottles were opened around 5pm and checked for soundness, which is also when I wrote the accompanying tasting notes. 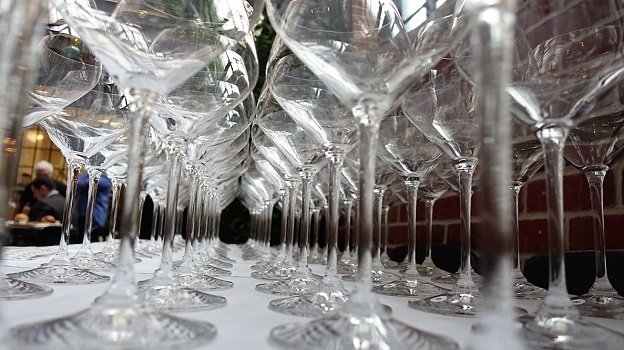 Two wines, the 2006 and the 2001, were quite reticent, and were given a quick decant, but aside from that, the wines simply saw a few hours of air before being served. The small size of our group provided a rare opportunity to follow the wines over several hours. Sommeliers Will Nazar and John Slover did a fabulous job handling the wines and ensuring that service was flawless. The epic dinner that followed at Dirty French was worthy of its own write-up, but I will concentrate on the wines. Some of my favorite vintages on this night included the 2010, which was absolutely stellar. I also thought the 2008 and 2007 were fabulous, if young, while the 1996 remains one of the all-time greats. As is often the case in a large tasting such as this one, there were a few disappointments. Two bottles of the 2005 were oxidized, while the 2002 was not up to par and the 1993 was corked. But the single biggest takeaway from this vertical was the consistently high level of quality the domaine has achieved with the Montrachet beginning in the early 2000s. Several recent follow-up tastings have only served to reinforce that view, although as mentioned above, we did have two off bottles of the 2005. There is simply no question that the Montrachets from the 2000s and later are on an entirely different level compared to the wines of the 1980s and 1990s. Longtime cellar master Bernard Noblet credits a transition to biological farming started in the late 1980s and early 1990s for the improvement in quality. Trials with biodynamics began in 1996. By 2008, all of the domaine’s vineyards had been converted to biodynamic farming, with the parcels in Le Montrachet now plowed by horse. One of the main attributes that makes DRC’s Montrachet so singular is a level of textural richness that is compelling. Shot berries (millerandage) are common and give added concentration. 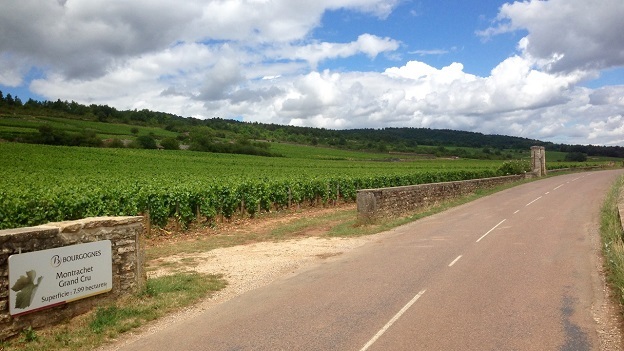 The domaine picks the Chardonnays very late, usually towards the end of the harvest and in some years even after the Pinots have been brought in, as was the case in 1997, 2000, 2002, 2004 and 2007. One of the implications of picking late is that there is often some botrytis in the fruit. Yet even the most opulent Montrachets have proven to retain excellent freshness, partly a characteristic of the soils but also because since around 1990 the domaine has chosen to bottle the Montrachet as early as possible. 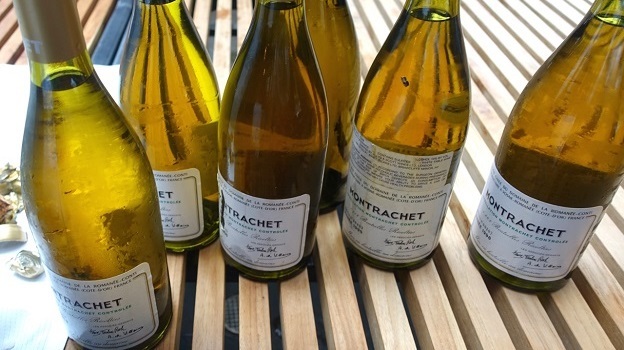 Broadly speaking, the DRC Montrachets can be grouped into two major categories; those where botrytis is evident and those where it is less noticeable or essentially not present. In years where there is an element of botrytis, such as 1995 or 2008, the Montrachet is unctuous, deep and flamboyant. In other vintages, Montrachet can be much more focused and brilliant, two qualities that abound in the 1996 and 2010, for example. While these wines might fall out of the realm of what most Burgundy fans consider the classic DRC Montrachet style, I personally find them every bit as appealing. In the finest examples, the mineral-driven vintages capture both the energy and inherent richness Montrachet provides on its own, an interplay of flavors and textures that I can only describe as utterly breathtaking.